Prevent slipping and improve air flow around a computer case with non-slip rubber feet. 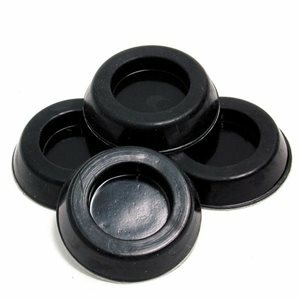 This pack of 4 rubber feet (1-1/4in diam.) feature is great to have on hand for new system builds and upgrades, providing the necessary traction to cases and devices that require stationary placement.